Allergy Doctor of King of Prussia – Allergy & Asthma Specialists When Should You Schedule Allergy Skin Testing? When Should You Schedule Allergy Skin Testing? If you suspect you might have allergies, such as pollen, mold, dust mite, or animal dander, food allergies, or drug allergies, the sooner you schedule skin testing, the sooner you can get your condition under control. It is not necessary to wait until you experience an allergic reaction to call the allergy doctor. This is especially true for patients with possible seasonal allergies. 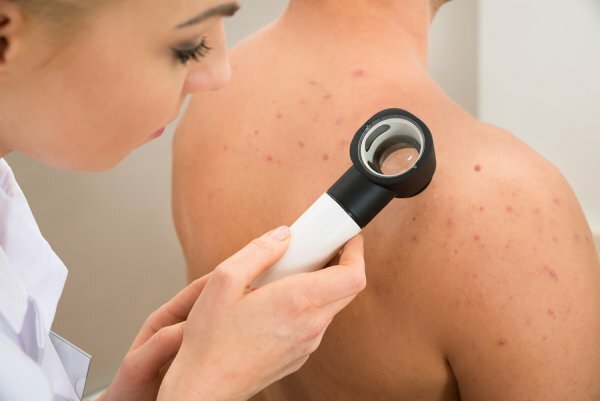 If this applies to you, it’s best to schedule skin testing with an allergy doctor at least three to six months before the time during which you typically experience symptoms. This allows you to get started on your immunotherapy treatment before your symptoms occur. When you schedule your allergy skin test, be sure to ask the allergist if you can continue taking your medications up to your appointment. Medications containing antihistamines such as Claritin, Zyrtec, Allegra and Benadryl can interfere with the results of the test. If you currently take antihistamines, you may not be able to have allergy skin testing performed until you have been off the medications for at least 5 days. To schedule your allergy skin test, you can call Allergy & Asthma Specialists ℠ at 1(800)86-COUGH. Our allergy doctors are available in Philadelphia, Blue Bell, King of Prussia, Jenkintown, Doylestown, Lansdale, Pottstown, and Collegeville, Pennsylvania.